Raise your hand if you are a parent and you’re proudly raising geeks. I know I’m not the only one. Know how I know? Because we attended the Chicago Comic & Entertainment Expo a few months back and we were far from the only family there. The highlight for all of us was hearing Stan Lee speak. 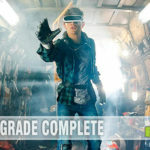 After watching Heroes of CosPlay and absorbing every superhero movie we could, it was pretty apparent that, as a family, we had embraced our inner nerd. We’re excited that tomorrow is the start of the next season of Marvel: Agents of S.H.I.E.L.D. While we normally dread the eventual mid-season break, this time we’ll be looking forward to it because they will be airing Agent Carter. The new show is based on the character from Avengers and most recently seen in Captain America: The Winter Soldier which just released on DVD. Have no idea who I’m talking about? Then I encourage you to catch up on the movies. 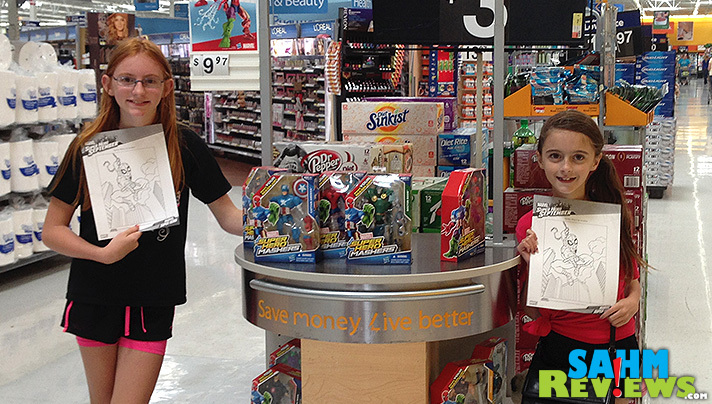 You can print a coupon for $5 off Captain America: The Winter Soldier DVD when you purchase 2 packages of M&Ms. 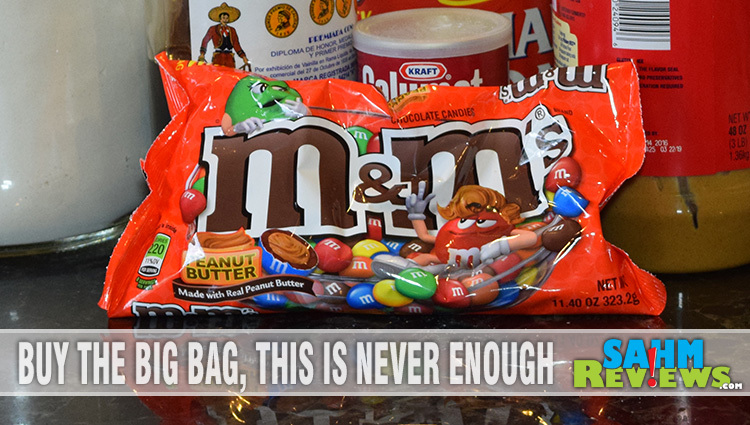 You know why you need the M&Ms? Because, duh, they are yummy. Oh, and because Heroes Eat M&Ms. 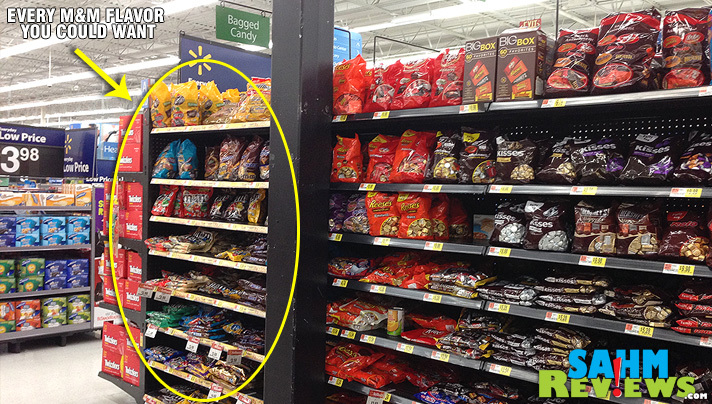 We had no problem finding our key muffin ingredient, Peanut Butter M&Ms, at our local Walmart. Everywhere we turn, we find Marvel. In the toy aisle, on displays, seasonally in the Halloween department and now even in the bakery department! This past weekend, there were mini cupcakes available as well as Marvel coloring pages for the kids. 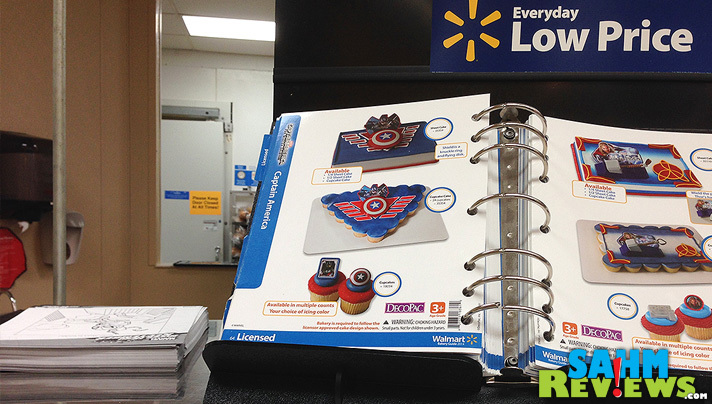 We flipped through the bakery special order book and found a lot of superheroes to choose from, including Captain America. You know that coupon I mentioned? When you’re done printing it, swing by the #HeroesEatMMs website. 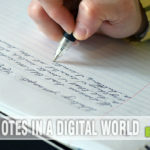 If you have a few minutes, be sure to check out the fun content. There are two quizzes – one to find out what kind of M&M you are and the other to discover which superhero you are. Me? I’m a green M&M and Spiderman according the quiz. In reality, I’m peanut butter M&Ms (because that’s what I eat most) and the superhero I really am is mom. That’s right. Mom is the biggest superhero of all. Think about it. How many other people are able to multitask so many necessary things without missing a beat? Cooking, cleaning, helping with homework, changing diapers, paying bills, juggling schedules, groceries, activities for every member of the family and so much more. When #CollectiveBias challenged me to create a recipe inspired by a superhero, I decided that “Mom” was the superhero that inspired me most. Last Friday was our school’s annual “Mornings with Mom” fundraiser which until a year ago had always been referred to as “Muffins with Mom.” It’s a morning set aside before school where kids celebrate their moms. The 6th grade orchestra plays while 6th grade students help take tickets, serve food and bus tables. The muffins they had been purchasing were huge and a lot went to waste so they opted to switch to donuts. Sure, I like donuts but I miss the muffins. 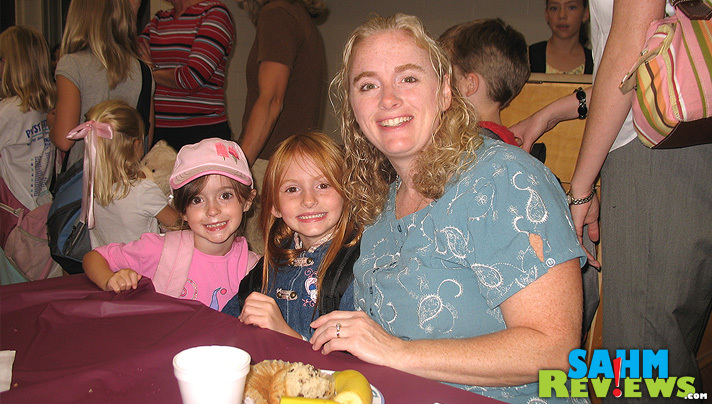 Maybe I’m just nostalgic for when my girls were first starting school and we attended our first “Muffins with Mom” breakfast. In a bowl, mix flour, oats, brown sugar, baking powder and salt. In a separate bowl, beat the milk, peanut butter, vanilla and egg. 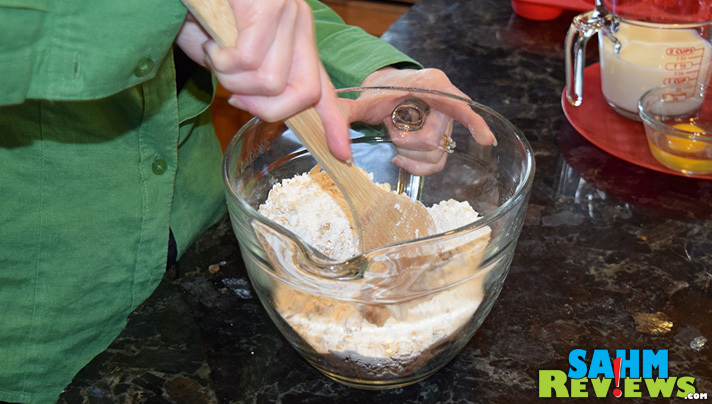 It’s best not to over-beat muffin batter so use a wooden spoon. The peanut butter won’t combine right away, you’ll want to work it a little bit until it becomes more liquid. 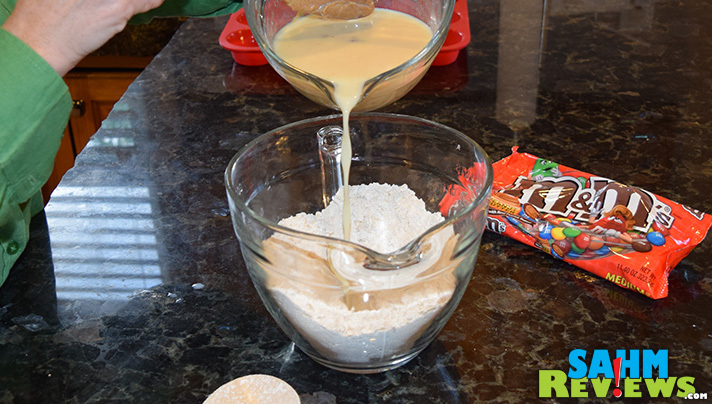 Add the liquid mixture to the bowl of dry ingredients. Mix well. Spoon the batter in 12 muffin cups. 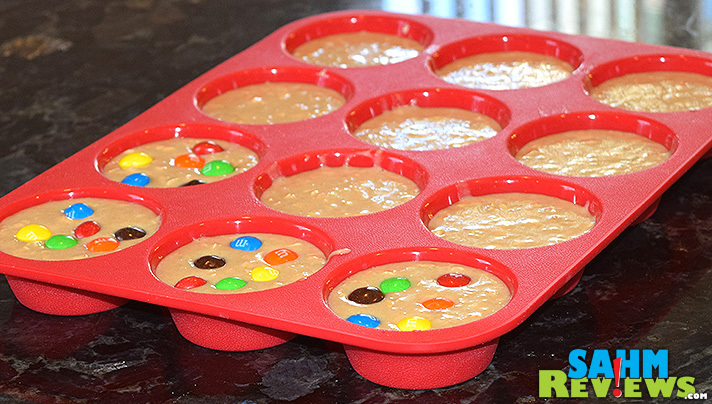 Bake for 6 minutes then add 6 Peanut Butter M&Ms to each muffin. I know, it’s tempting to add more but too many and it keeps the muffins from holding together right. Poke the M&Ms lightly into the batter. For a few in this batch, I decided to only add red and blue M&Ms to commemorate Captain America and the release of the new DVD. Cook another 12-15 minutes or until the a cake tester comes out clean. I used a silicone muffin pan and needed to cook it a little extra. The first batch came out more the consistency of bread pudding. It was yummy but not the final result I was looking for. There are definitely days where I struggle to juggle it all but my family still makes me feel like a superhero. Maybe that’s why I like all the Marvel shows so much! To learn what Marvel super hero you are and to find more hero-inspired recipes, visit HeroesEatMMs. OMG I love all things m&m. Have you ever tried the pretzel M&M’s? I just copied the recipe and am so going to make these for the kids snack this week. This looks really good. Let me know how they turn out. I cooked them in the silicone pan but I think they would have cooked more thoroughly if I had used a normal pan. These look scary good. These would be good for a special occasion like a birthday or something fun! These are party muffins! These look so good! I know my kids would love to not only eat them but also help make them. Walmart has a great selection and I like all of the things you can get there in one stop. Thanks for sharing! I’m a big M&M’s fan and so are my kids. 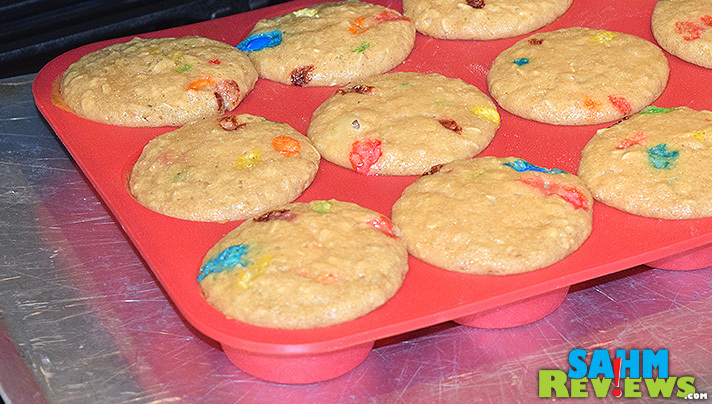 I prefer to eat my M&M’s plain and not mixed in a recipe but my kids would love these muffins. 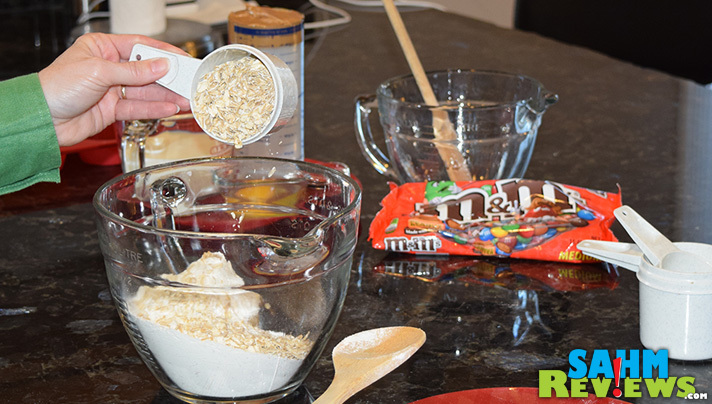 Any recipe with M&Ms is always good. I can’t wait to try this recipe. It sounds so delish! Any recipe with M&Ms is always good. I can’t wait to try this. It looks delish! This looks really good! I love M+ms so I need to try this! my son just loves m&ms, i will have to make these with him soon, thank you! These are my absolute favorite flavor of M&M’s! I love using them in recipes! My daughter would LOVE these! She’s a PB fanatic! OOOHHH!!! My family LOVES peanut butter and this is just divine! Oh man do those ever sound awesome. I don’t care what anyone says, Peanut Butter M&M’s are the best. M&M cookies have always been one of my favorites but I’ve never even thought about doing a muffin version. Now I’m inspired to get in the kitchen and whip up a batch. Thanks for the tip! These look amazing! I never thought of putting m&m’s in a muffin, but I will try that now. Oh my goodness, these look divine! I have a feeling that if I made these, they would all be gone the same day! I will totally eat muffins w/M&M’s in them! These sound great. What is not to love??? Muffins with M&Ms?? Perfect! These look so delicious!!! My boyfriend is a huge peanut butter fan and I’m always looking for new ways to incorporate it into treats! Those look amazing! I love muffins, and I love M&Ms, so this is perfect for me! These look really tasty. I see a sweet treat coming up this weekend. Bookmarked! These are definitely being made this weekend. Yum! These are great! My kids will devour these, and they’re simple to make. Perfect! These look delicious! I’ve been very diligent about eating clean, but I’m seriously considering making an exception right now. These look so yummy. My kids will be VERY happy this weekend. WOW! Those looks sooo good! 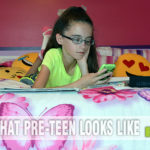 My kids would eat them up! I always put them into cookies and but never tried them in muffins, brilliant idea! These look really really good. I think that I’ll make a batch for my husband to take into the office. This looks super yummy. I love M&Ms! What a yummy treat! I’ll have to make these muffins this weekend. 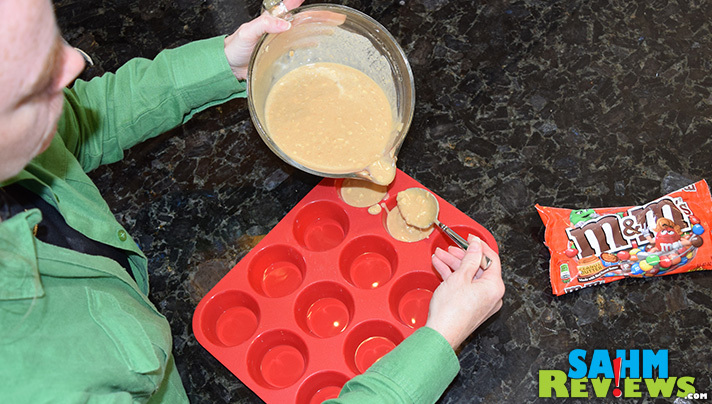 peanut butter muffins sound awesome! with and without the mms. Sounds so great! I have never tried M&Ms in muffins before! Okay, you had me at peanut butter and knocked me over with M&Ms. OMG this sounds and looks delicious! WTG mom! Can’t wait to try ’em! What a great idea! I think these would go great with the M&M ice cream I bought last night. Yum! You are speaking my language here. Yummy peanut butter and yummy M&M’s!!! OMG, definitely making these muffins! p.s. I LOVE Marvel Agent’s of Shield! Bloody sinful! And here’s me trying to keep the weight off…. Wow! Those look so good! I’ve never put these in muffins before. My kiddos would love these! These look so delicious! Definitely going to try this out! Thanks for the post! This sounds so good!! I don’t think they’d last long in my house. OH WOW. I am definitely going to try this one … but I may do it in the microwave in my Tupperware Stack Cooker … and then have another recipe to have for a vendor fair to help support a preschool …. Muffins and peanut butter are two of my favorite things, but I never thought to put them together before. Looks yummy! yummy great recipie my kids would love this!!! Oh my this recipe looks fantastic, my favorite M&M’s too is the peanut butter ones. I have a sweet tooth for some now. My kids would love these as well! These look so good! We love muffins add m&m’s and they for sure will be a hit. I want to give these a try. They not only look appetizing, they have my favorite candy in them! I love Muffins and I have never thought about making muffins with M&M’s. These sound very delcious and easy to make. I am always making muffins and I would love to try something different. Thanks for an awesome reicpe!! Totally agree that meeting Stan Lee and hearing him speak would be a huge highlight! 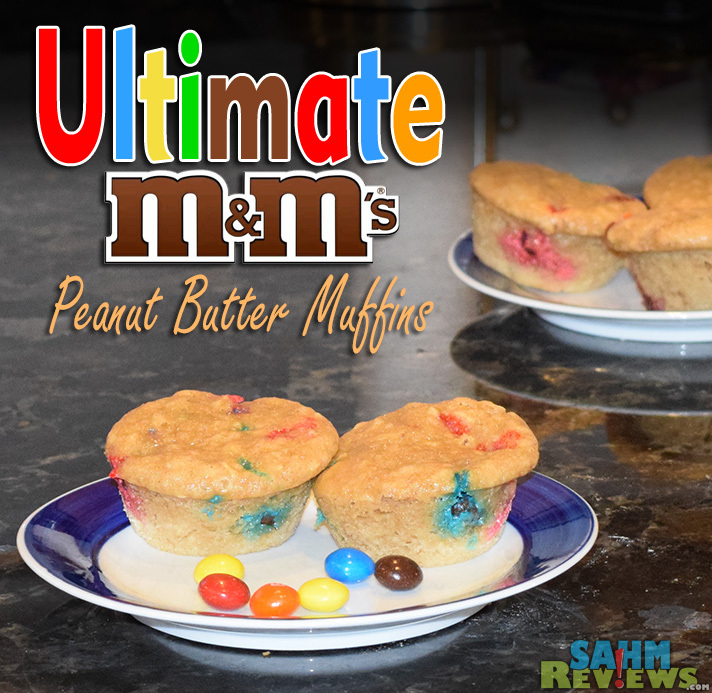 I love the recipe for the peanut butter M&M muffins – gotta try these out on my hubby. The way to a man’s heart is through his stomache right? I have never heard of muffins that have candy as an ingredient. We will have to try this recipe. Peanut Butter and chocolate, one of the best flavor combinations in my opinion! Yum! I’ve never tried peanut butter M&Ms before. They look delicious, though! These muffins look magnificently delicious. I wish I could bake them as good as they look in the photos. This is a must-try, sounds sooooo yummy! These are the ultimate!!! They’d make any kid happy grown-up “kids,” too!! oh wow, I’d love o make this for kids but for me, too. I love the double whammy peanuty goodness!!! These sound so delicious! Thanks so much for this recipe! These look so delicious! I must make these asap. The Peanut Butter M&Ms are my FAVORITE! So this looks like the perfect excuse to buy a bag! Yum! Chocolate AND peanut butter – and they’re so colorful! Have to try these. My daughter will love them. Never thought of putting M & M’s in muffins! Going to have my aunt make these as she’s the cook around here!! Love muffins, love peanut butter, love M&M’s. These are something I must make! It is really hard to stop eating M & M `s when you start. A few turn into a bag. These are such tasty looking cookies. I can’t wait to try to make these. I love those M&M’s. I bet those muffins are as good as they look! My kids would die for this – will try it out. I have died and gone to muffin heaven!! Looks good! I’ll definitely try this. These sound yummy! I think they’d be a huge hit around here. Oh, Liza, they ARE good. We haven’t made them lately but that’s mostly because M&Ms (especially PB M&Ms) get eaten before they make it into any baked goods. LOL Please tell me we’re not the only household with that problem.